…when you can have a tent! 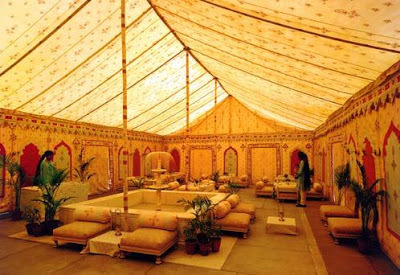 Specially tents as luxurious as these! 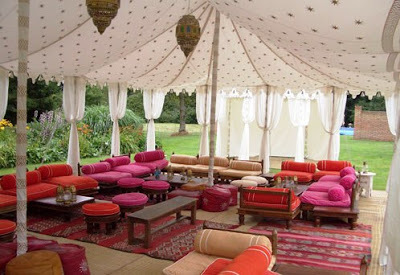 It’s amazing how a tent can really make an event feel more special. 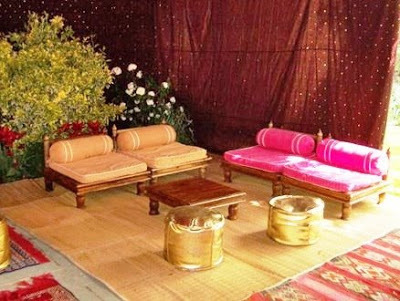 For small gatherings, it may be nice to create a tent in your own living room. Thanks for dropping in a note Henna! Yes, I have heard about Moolsagar…not visited the place as yet! 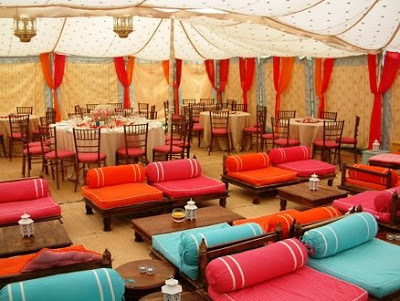 Some of these tents are from Jaisselmer, Rajasthan, India! I know, because I just stayed there last winter! 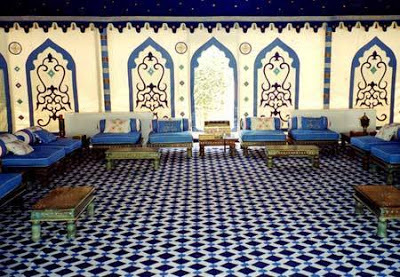 They had just opened when we went and it was almost deserted but so beautiful and peaceful. They were at Moolsagar… quite beautiful. 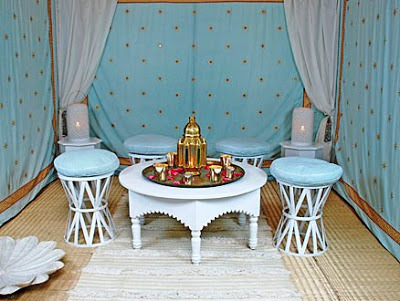 yes, yes, give me a tent like any of these in any enchancting setting and i’d be a very hapy girl! love this post! Lovely places to hang out and party! I would like to sit by the pool in the top one, thank you! I’ll take one of each please!!! This is so stunning that I am at a loss for words. So gorgeous! Love those bright colours. Hey Bhavna! 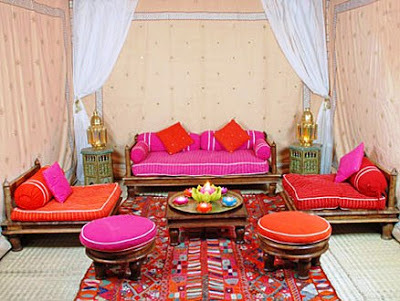 I must say you sense of decor/style/color/basicallyeverthing are truely inspirational! I love your blog!!! WOW. 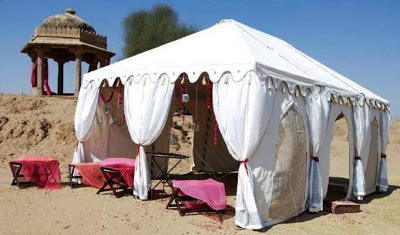 what beautiful tents. great place for parties!!! Thanks for dropping by. Lovely blog you have here..Love the post on Kathryn Ireland’s home, ( it even has a fan club??!) and this one with the awesome shots of tents too.. The second picture – I am transporting myself there in a minute!